Severance vs. Termination Pay: What’s the Difference Anyway? Though sometimes used interchangeably, termination pay and severance pay are not the same thing. While all employees of three months or longer with a company are entitled to termination pay (in place of notice) upon dismissal, not everyone is entitled to severance pay. To clarify the difference between the two, we’ve prepared a handy refresher for you. 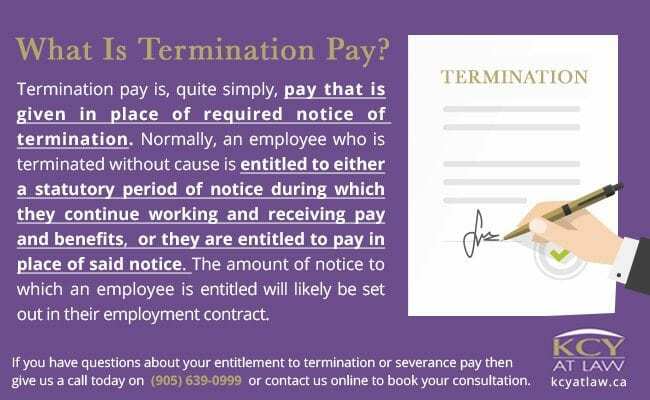 Termination pay is, quite simply, pay that is given in place of required notice of termination. Normally, an employee who is terminated without cause is entitled to either a statutory period of notice during which they continue working and receiving pay and benefits, or they are entitled to pay in place of said notice. 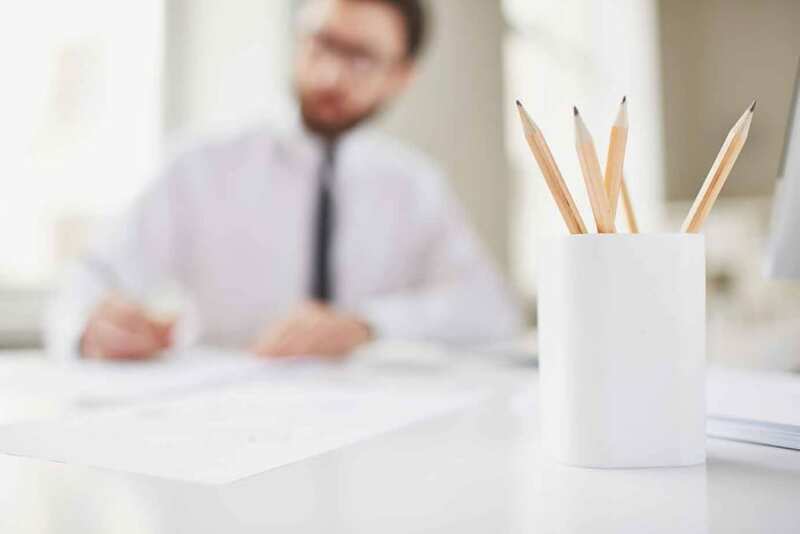 The amount of notice to which an employee is entitled will likely be set out in their employment contract, otherwise they are entitled to certain minimum standards guaranteed under the Employment Standards Act (ESA). For example, If you worked for 4 years and 6 months at a company with a weekly pay of $1,000 and were terminated without cause, you would receive either four weeks’ notice or $4,000 (4 x $1,000) upon termination. Additionally, to qualify for severance pay you must have worked for a company with a total annual payroll of $2.5 million or more for at least five years. Severance pay is calculated differently from termination pay. To determine severance pay, you must multiply your regular week’s wages by your number of years of employment with the company. For example, if you worked 7 years and 6 months (with a qualifying company) at a regular weekly pay of $1,000, your severance pay would be $7,500 ($1000 x 7.5). Consulting with an experienced employment lawyer is the best way for you to determine your full severance and termination pay entitlements. KCY at LAW have the expertise to ensure you your full entitlements under the ESA and your employment contract. Reach us at 905-639-0999 or contact us to book your consultation. 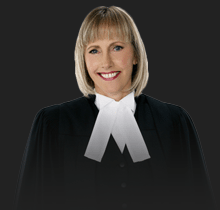 https://www.kcyatlaw.ca/wp-content/uploads/2017/04/Severance-vs-Termination-Pay.jpg 922 1382 Kathy Chittley-Young https://www.kcyatlaw.ca/wp-content/uploads/2018/01/KCY-at-LAW.svg Kathy Chittley-Young2019-04-22 05:01:522019-04-22 06:36:51Severance vs. Termination Pay: What’s the Difference Anyway?